I had seen the cutest, farmhouse style Christmas decoration on Pinterest. It also looked easy, which I was all about! 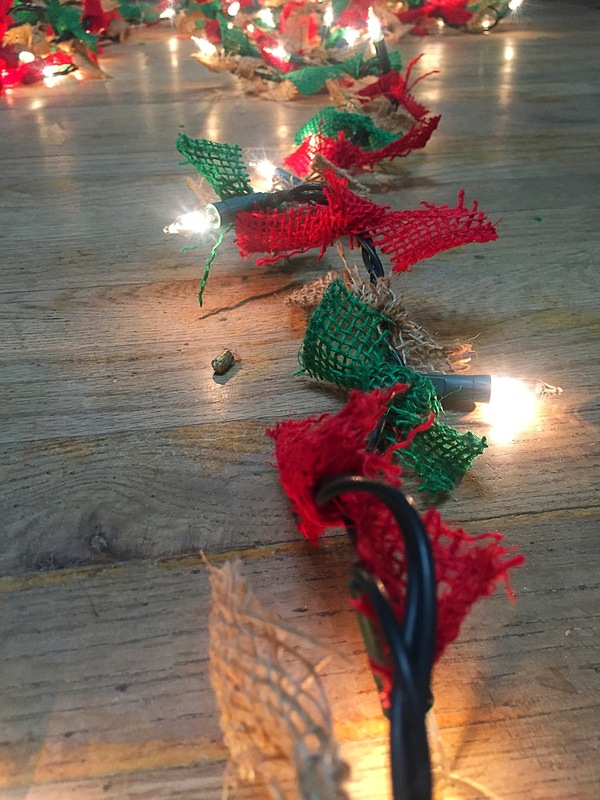 This craft took a strand of clear Christmas lights, scissors, and 2 inch strips of red, green, and brown burlap. 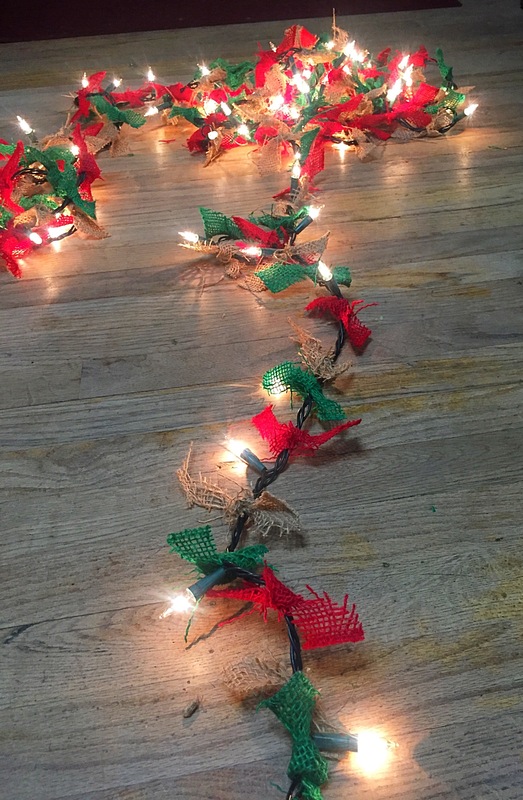 The first step is finding a pattern you want to follow to tie your burlap around the strand of lights. With mine, I chose red, green, and then brown. Using your scissors, cut a strip of burlap about 2 inches wide. Wider is better, as the thinner strips fall apart when tying. Tie the strip of burlap around the strand. Be careful not to pull too tightly, as it tends to come apart extremely easily. I tied two strips of burlap between each light, but you could always do three! I’m going to wrap the garland around the railing of my front steps. I’m so excited about how cute it turned out!